In an effort to inspire and raise awareness in appreciation of the natural surrounding environment and to reduce carbon footprint, Clarins together with customers who are the top 40 “Green Angels” planted 40 fruit trees in Forest Research Institute Malaysia (FRIM) on Earth Day. 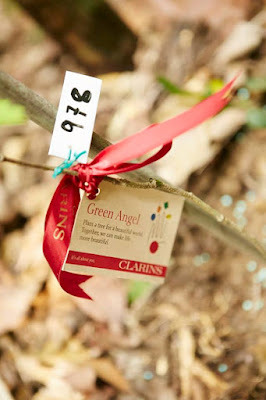 Clarins Malaysia organized the first “Green Angel” Campaign in all Clarins Skin Spas which started from 1st March 2015 till 30th April 2016, aimed at encouraging consumers to recycle. 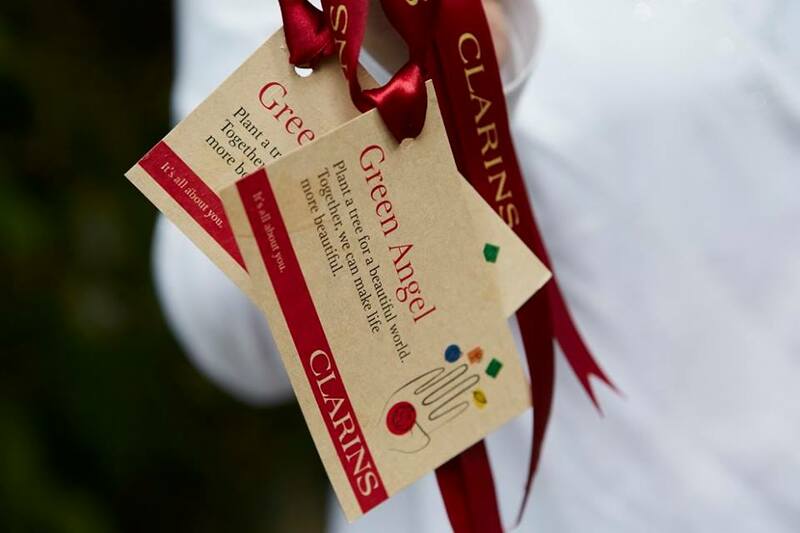 During the campaign, consumers of Clarins were encouraged to bring back empty jars, bottles, cartons for recycling. Top 40 recyclers of “Green Angel” were rewarded and a tree was planted for each of the winner. 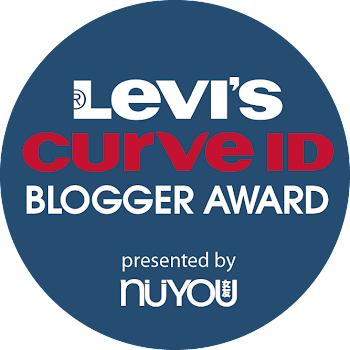 Bravo to Clarins team + customers! 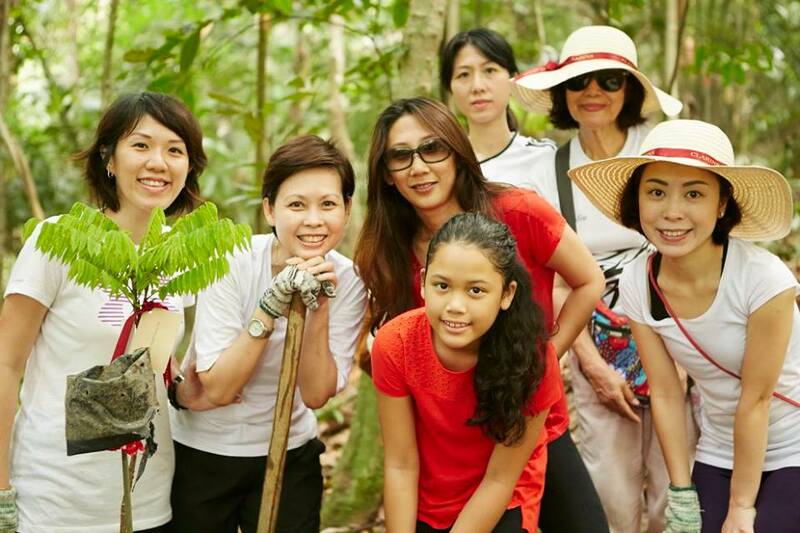 On Earth Day, Clarins team together with a few customers had an enjoyable time in FRIM. 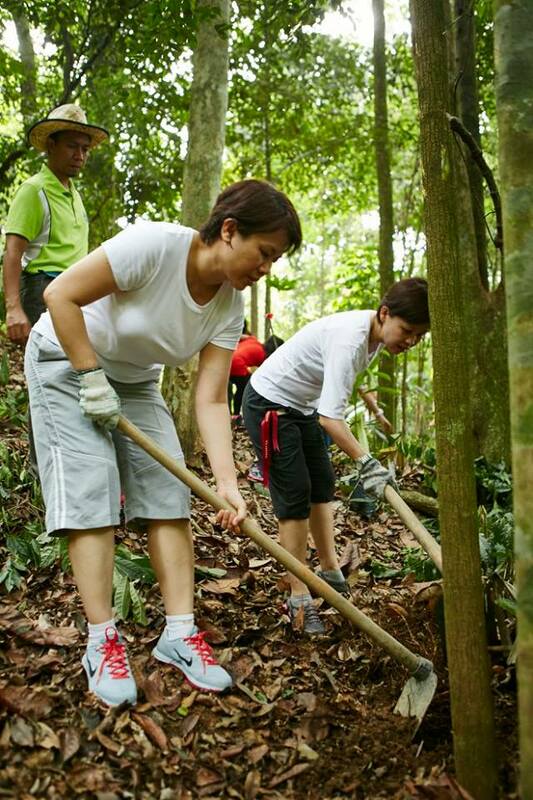 The day started with a short welcome address by Gillian Tyo, General Manager of Clarins Malaysia & Singapore followed by FRIM and then a 40-minute walk to Taman Bidara trail where the tree planting took place. 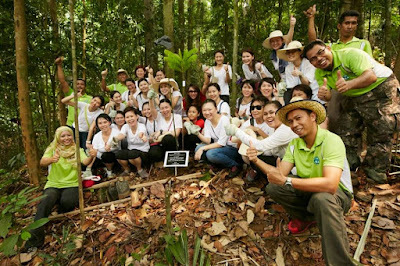 Right after the tree planting, each winner was presented a tree certificate, as a symbolic gesture to reward their commitment to protect nature; and helping Clarins run a greener operation in Malaysia. Some customers commented that they were happy to be part of this meaningful and educational activity and they wish to participate in such activities again. From the very beginning, Clarins has based its development on respect for nature. It has always honored the principle of extracting the benefits of each plant without harming ecosystems, as well as making a commitment to preserving and reintroducing biodiversity where deforestation, urban construction and extensive farming have destroyed local flora and fauna. “We always believe in giving back to nature. Apart from that, Clarins worldwide practice the 3Rs principle: Reduce, Reuse, Recycle… and also Replant. 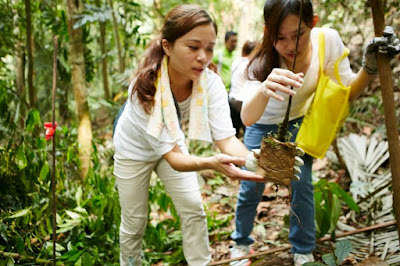 We trust that we can help to minimize our impact on the environment” said Gillian Tyo, General Manager of Clarins Malaysia & Singapore. “The partnership with FRIM was to highlight the importance of nature and helping to enrich additional fruit trees in the tropical forest to maintain the ecosystem of local fauna and at the same time to reduce carbon footprint by planting more trees”, she added. “Clarins’ mission is to make life more beautiful for future generations.” Quote from Mr. Christian Courtin-Clarins, President of the Clarins Group Supervisory Board.